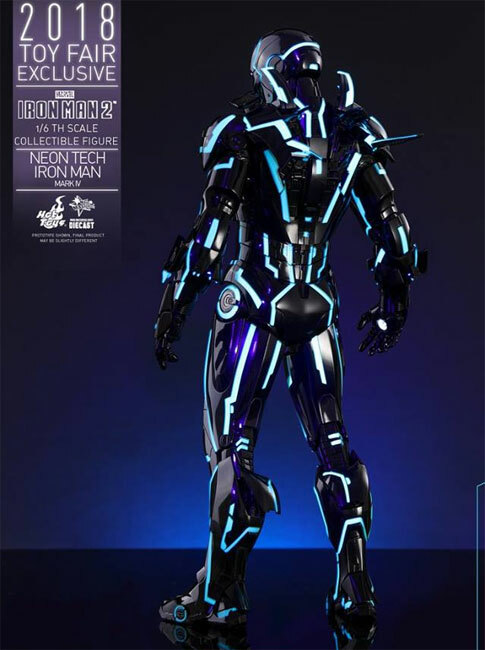 This year Hot toys for Toy fair exclusive globally has revile the 1st one in their list. 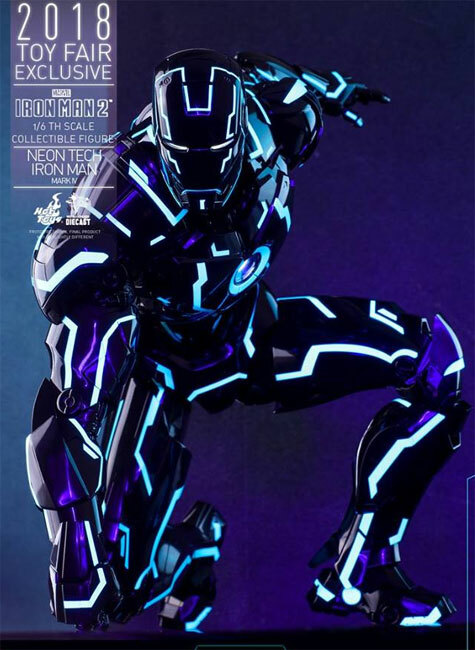 It is Ironman with NEON tech. 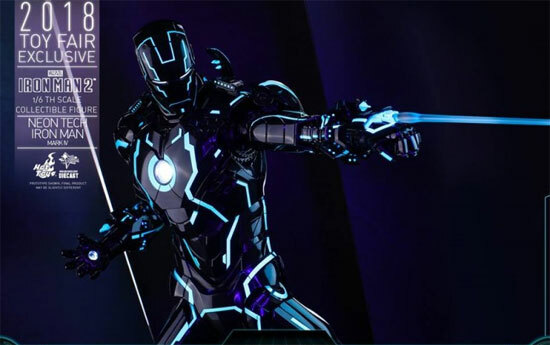 So if you think it is like TRON x IRONMAN you are not the only one just that TRON is a different license but the concept is the same. 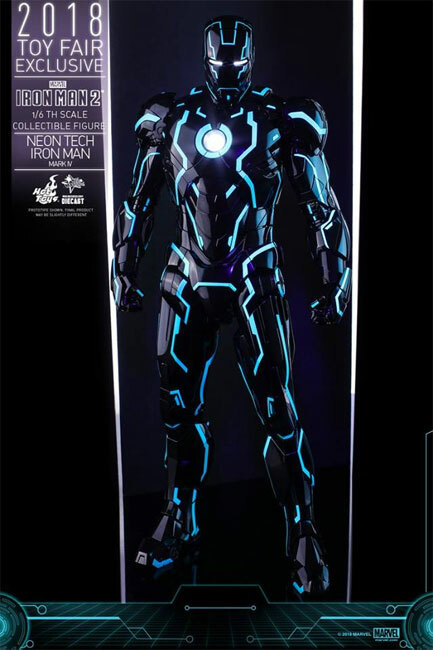 The base suite is Mark IV of Ironman (mold). 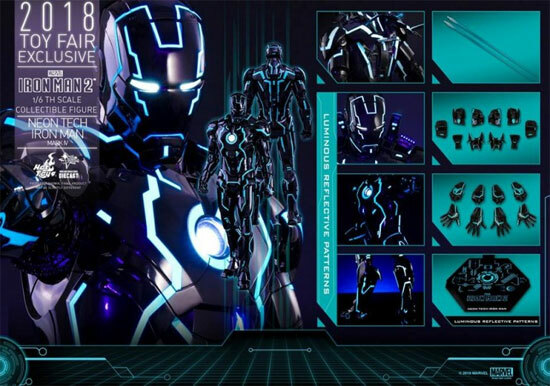 All the glowing strips on the armor inlcuding the eyes and his arc reactor are all LED. Even the back have glowing stripes. The figure has articulated part as normal Hot toys version. It has additional parts to do the flight look! Also some effect pieces like laser shots. 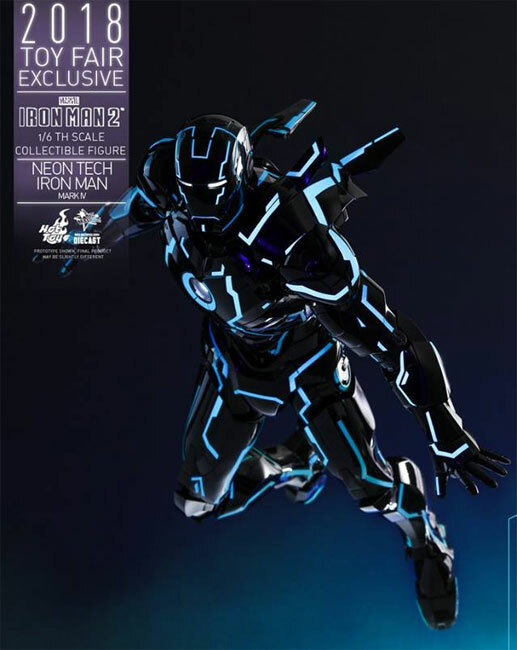 The figure can do the iconic pose of Ironman of course. No price was stated yet as this is just a preview. Do note this suit is non-canon in appearance as in never appear in any comic or movie. Let us know your thoughts on this exclusive in our comment. PS: This would likely appear in STGCC 2018 so save up your money now.